Don’t fancy an early wake up pre-flight, or landing late and know you’ll just want to snooze? Booking into an airport hotel at Heathrow may be just the ticket. With plenty of hotels serving all 4 terminals to choose from, your options are endless. With plenty to suit every budget, you can opt for a little luxury in the Sofitel or enjoy a cheap and cheerful kip in an Ibis. Plenty of the hotels serve as great meeting locations too; many have fully equipped conference and meeting rooms available to hire, making them the perfect location for meeting international clients and colleagues. The Hilton is the only hotel with direct access to T4 via a covered walkway & offers free transport to the other terminals. Not only is it less than a mile from the terminals, it’s also close to many outer London attractions, like Twickenham Stadium! Modern and sophisticated, the Marriott is the perfect place for a little pre flight relaxation and pampering. Treat yourself! You can practically step out of Terminal 3 and into the Renaissance Hotel, perfect after that late night flight. Why not stay the night before your flight and enjoy a little indulgence in the spa? You know you want to. 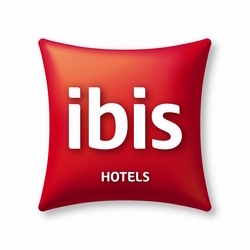 Snuggle in to one of the cosy, conveniently located rooms at ibis before you head off. Find this hotel just off of the M4, less than 2 miles from the airport; The perfect off site location. With airport shuttle services available, the distance from the terminals won’t be an issue! 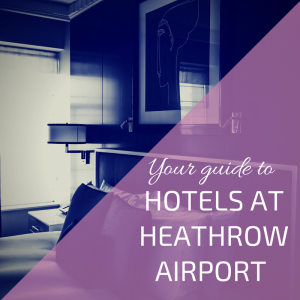 Recognising passengers’ needs for accommodation when passing through the airport has led to an abundance of hotels emerging around the Heathrow Airport vicinity. Their popularity amongst travellers has steadily grown due to the convenience they provide as well as the comprehensive facilities and services most now offer. With an airport hotel travellers can begin their trip in total relaxation without the need to concern themselves with early morning motorway journeys to catch their flight on time as the airport is merely minutes away. The possibility of disruptions such as severe weather and strikes can lead to regular airline services at Heathrow coming to a halt, often meaning that passengers can be faced with lengthy delays and even cancellations. In these situations Heathrow hotels can provide a much needed escape from the chaos at the airport, giving families and business travellers a relaxed environment to recuperate and plan their way around the disruptions. You can also visit our travel disruption information page for help and advice on what to do in these situations. 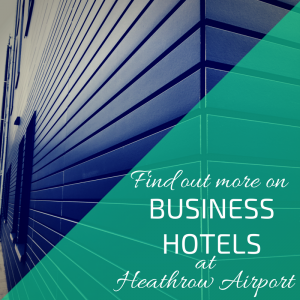 Business travellers will find that a hotel at Heathrow Airport is ideally suited to meet their business needs. Facilities typically include high speed wifi and printing facilities as well as meeting and conference rooms. The larger hotels will also often have a dedicated business centre with secretarial services on hand to assist in any business. The proximity of the hotels immediately surrounding the airport also provide business travellers with the piece of mind that there will only be a short journey to the Airport the next morning. What is the Hotel Hoppa Service? The Hotel Hoppa service at Heathrow Airport, courtesy of National Express, offers door to door transfers between the airport and your chosen Heathrow hotel. The journey will cost you less than half the price of a taxi and all the minibuses are equipped with business class size, comfortable leather seats. The shuttles are all air conditioned and each seat has WiFi access.You can be sure of a quick and trouble free journey on a Hoppa shuttle as they use the express bus lanes in order to avoid the traffic, and operate with a maximum of 3 local stops en-route. All of the shuttles are fitted with traffic and flight data management systems to help ensure you arrive at your destination on time. Use this handy guide from National Express which details in full the various bus routes, stops and locations for each hotel mentioned above. One way tickets start from just £4.50 plus a £1 booking fee, and children aged 15 and under go free! You can prebook your tickets online to guarantee your seat, or simply purchase your ticket on the day. The Sofitel proudly holds the title of the most luxurious hotel at Heathrow Airport and it is definitely a great way to kick off a holiday or as a relaxing stop-off between business meetings. Its direct access to Terminal 5 and complimentary transfers to the others also make it a very convenient choice. An extensive range of 7 different room types are available at the Sofitel so you’re guaranteed to find the perfect room to suit you. As standard, your room comes with either a Queen sized bed or two singles, a flat screen TV with, en-suite bathroom with separate bath and shower, WiFi and view of the hotel’s Zen garden. The dining experience at the Sofitel is second to none at Heathrow. You can experience classic French cuisine at the The La Belle Epoque restaurant or enjoy the delights of live cookery at the hotel’s Vivre restaurant. Lovers of tea can experience the finest in tea brewing at Tea 5 which serves us a selection of afternoon teas, coffees, pastries and desserts. Room service operates 24/7 serving both hot dishes and cold snacks. The Hilton is the only hotel that is directly connected to Terminal 4, so there’s no need for the usual transfer to the airport in the morning. Three great restaurants and a fully equipped fitness suite are just some of the facilities that will make your stay at the Hilton a memorable part of your trip. The rooms have King size beds enhanced by a first class airline theme, contemporary decor, air conditioning, and en-suite bathrooms with fully glazed walk in showers. Large flat screen TVs are there for your entertainment, as well as a desk, lamp and armchair for guests that need to work. All rooms are fully sound proofed with triple glazed windows. Zen Oriental offers modern Chinese and oriental specialities or head to Oscar’s restaurant and enjoy international delights including Hilton’s favourites. Head to Aromi Restaurant for fabulous Italian dishes within a lively piazza atmosphere. For busy schedules and early risers, Aromi serves a daily express buffet from 5:30am. Terminal 5: Use the Hotel Hoppa service H59 leaving Terminal 5, Bus Stop 22-23 at 04:31 and every 30 mins until 23.01, daily. Hotel Hoppa service H57 leaves the hotel to Terminal 5 every half hour, from 04.48 to 23.18. This is a paid for service so you can pay for this at the hotel reception or the pay the bus driver. Rooms come with flat screen TV equipped with Cable/Satellite and Pay Per View movies, video games and a workspace consisting of a desk, lamp and electrical outlets. Other facilities available include tea and coffee maker, hairdryer, air conditioning, phone, fax and of course wi-fi. The hotel’s restaurant The Junction serves Breakfast, Lunch and Dinner. A full English breakfast is served each morning alongside lighter options such as cereal and fruit. One of the leading hotels around, the London Heathrow Marriott Hotel provides a fabulous location with easy access to the terminals via the Heathrow Hoppa. Soundproof guest rooms, a variety of business services, and a great range of health and leisure facilities, this hotel really has something for everyone. It also runs a Park Here, Fly There scheme for parking whilst you fly. All guest rooms are air conditioned, soundproofed and feature luxurious bedding for an ultimate nights sleep and as you’d expect have en-suite bathrooms. For your entertainment cable/satellite TV with pay-per-view movies are provided with your TV. Rooms also come with desks, internet, phones, mini-bar, safe, tea/coffee making facilities and a hairdryer. A restaurant partnership with two of the local restaurants within the airport. There are two restaurants at the Marriott, enjoy a variety of authentic Italian dishes for dinner at the award winning Tuscany Ristorante or perhaps try Allie’s American Grille, a traditional steakhouse restaurant which is open for breakfast, lunch and dinner. For something lighter the The Sevens Bar is open for lunch and dinner with a wide selection of beers and cocktails and a big 3D TV. Snacks and a deli-style menu are also available for Breakfast, Lunch and Dinner in the Atrium Lounge and Bubbles Bar located in the lobby. The Marriott also has a Starbucks coffee house on site to grab a morning pick me up. A truly luxurious, recently renovated hotel and closer to Terminal 3 than any other. The elegant rooms with top of the range facilities will not disappoint even the most discerning travellers. Around the hotel you’ll find a trusty Starbucks and even a beauty shop nearby if you’d like to spruce up before you travel. On-site parking is available for guests for £15 per day. Park here, Fly there packages can be arranged for stays of 4, 8, or 15 days. As well as Wi-Fi access there are also colour TVs with pay-per-view movies and cable/satellite in all the 649 soundproofed rooms. You are also able to choose to have a fridge in place of the standard minibar. Rooms have en-suite bathrooms, a work desk and an iron and ironing board. The H2 Hoppa service is regularly available from the hotel to Terminal 2 & 3. The H54 operates to Terminal 5 and Terminal 4. This 4 star hotel proclaims itself to be the most luxurious hotel at Heathrow and it’s only 5 minute by car from the airport. All of its 459 rooms are classically furnished to a very high standard providing a warm and inviting atmosphere. A health spa, bar and lounge are available to help you unwind in the run up to you flight. The Radisson Edwardian Heathrow offer guests a choice between a Standard Double room which comes with a mini bar, safe, iron and trouser press, tea and coffee making facilities. A Deluxe room, which is larger accommodating a king size bed and a lounge area. Suites are the ultimate in luxury with a separate lounge and dining area, fireplace and double sinks. All rooms are beautifully decorated in a warm traditional style with bathrooms tiles in Sicilian Carrara marble. With two restaurants and a bar, you will definitely find something that takes your fancy at this hotel. The bar offers light meals alongside a great choice of drinks. 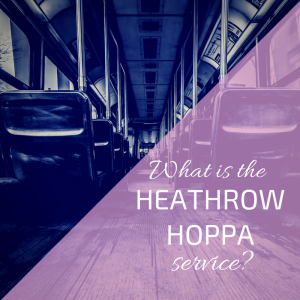 The Hoppa service at Heathrow offers transfers between Terminals 2 and 3 from 04:25am to 23:25pm. You can get to Terminal 4 via the Heathrow Express from Terminals 2 and 3. Located just one mile from Heathrow T5, this Hilton hotel offers spacious and comfortable bedrooms, a swimming pool, a spa and a gym to unwind and relax during your stay. If you’re staying here before or after a flight, a regular shuttle bus will take you to/from the airport in no time. Set in the quiet village of Poyle, this hotel is also great for a quiet weekend away to indulge in fabulous food and luxurious spa facilities. Park & Fly service is available to book. Self parking available for £16 a day. Feel at home in a spacious, soundproof room at the Hilton London Heathrow Airport Terminal 5 hotel, which features a comfortable king-sized bed, a contemporary Media Hub with a 37-inch LCD TV and MP3 alarm clock. Keep in touch at the spacious desk with wireless internet access and refresh in the stylish bathroom with a range of luxurious amenities. All rooms include a free hot breakfast. 24/7 room service is also available. There are two restaurants for you to choose from: vibrant and stylish Mr Todiwala’s Kitchen, serving fragrant pan-Indian specialties and The Gallery, where you can enjoy expertly prepared traditional and contemporary British specialities. The hotel has two bars and a coffee shop in the lobby for you to enjoy. Terminal 5 arrivals: H57 Heathrow Hoppa from Bus Stops 22 and 23 on the arrivals level on the ground floor. Terminal 4 arrivals: H57 Heathrow Hoppa from Bus Stop 12. Terminal 2 and 3 arrivals: Jump on the complimentary Heathrow Express Train service to Terminal 5 and then follow the T5 instructions above. The Ibis at Heathrow provides great value for money whilst providing guests with everything they’d need for a relaxing and enjoyable stay before their flight the next day. It’s also nearby to popular visitor attractions like LegoLand and Windsor Castle. Private enclosed outdoor parking available. Fees apply. Rooms sleep up to 2 people with either king size or twin beds and have en-suite bathrooms, satellite TVs and Wi-Fi. FOGG’s restaurant is open every day for lunch and dinner, serving a collection of classic British favourites, with vegetarian and gluten-free options available. As well as being only minutes from Terminal 3, this 4 star hotel is also packed with amenities such as a swimming pool and Jacuzzi, fitness centre and restaurant. You are also guaranteed a hassle free journey to your terminal with the Heathrow Hoppa bus service. Car park with 480 spaces is available for guests. Fees apply. A choice of either Suites, Business Friendly, Standard and Economy rooms are available at the Heathrow’s Park Inn making it suitable for every type of traveller. All rooms come with large flat screen TVs, high speed internet, tea and coffee making facilities, refrigerators and en-suite bathroom. The hotel’s beautiful RGB restaurant is open for breakfast and dinner every day. You can enjoy a wide selection of dishes, ensuring there’s something on the menu to suit all tastes. Use the red public bus numbers 105, 111, 140 or 285. Remember to tell them you have a reservation at the Park Inn on Bath Road and you’ll get to travel for free. The Hotel Hoppa bus is also available and can take you directly to any of the terminals (charges apply). The Thistle London Heathrow Airport Terminal 5 Hotel offers the perfect stay if you’re leaving on an early flight, a late night arrival or want to extend your holiday. The hotel is ideally located for all the terminals at London Heathrow airport. Also, Thistle Heathrow exclusively offers a direct route via the Pod network to Terminal 5 and park and fly packages are available too. Park and Fly options are also available. The rooms at the Thistle London Heathrow Terminal 5 have everything you need for a relaxed and comfortable stay, whatever your requirements. Quiet, spacious and decorated in warm colours and fabrics, each room has an LCD TV and fast free BT Wi-Fi to give you access to your emails and the internet. The en-suite bathroom includes complimentary toiletries. Modern, relaxed and with great views over London Heathrow’s main runway Terminal 5, The First Edition Restaurant is open right through the day, serving contemporary and classic dishes, complemented by an extensive wine list. The Best Sellers Bar, which overlooks Terminal 5, offers a range of drinks and snacks. On the ground floor, the Oak & Avocado Lounge, serves a wide range of drinks and light meals in informal surroundings – perfect for relaxing between meetings, on arrival or before you leave for the terminal. And if you’re taking off early, or coming in late, there is a full room service menu available around the clock. Terminal 4: Jump on the Heathrow Connect train (free to use) to one of the other terminals and then catch the Hoppa Bus as above / below. 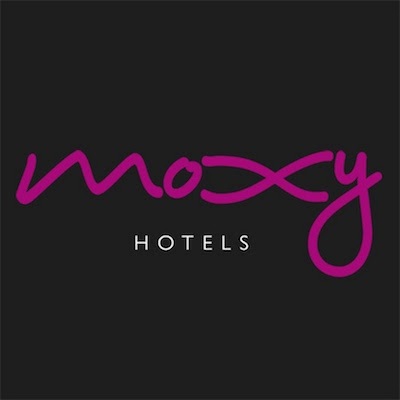 The newest addition to the Heathrow hotel scene is the contemporary offering from Marriott; Moxy Hotel. The hotel boasts “stylish and tech savvy accommodation” that’s perfectly suited to business and leisure travellers alike. Guests can enjoy a warm reception to their room with ambient back lighting, full length art work and leather seating to compliment the 42″ flat screen, sound system and motion activated LED lighting alongside complimentary toiletries and free wifi. Pet Friendly – charged at £20 per dog. You have plenty of options available to you. Head to the Breakfast Bar for breakfast or Dinner, the Day Bar for lunch or Dinner or use the 24/7 Pick Up service for your Grab and Go options. All serve a vast collection of international cuisine, whislt the Day Bar is the place to head for one of thier cracking cocktails. The Novotel is one of Heathrow’s best rated and most popular hotels. Both its Standard and Superior rooms have a contemporary finish with all the amenities you’d expect from a modern 4-star hotel including large flat screen TVs, broadband and more. All rooms sleep up to 2 adults and 2 children and come with a king bed, en-suite bath/shower, sofa bed, satellite TV with pay per view movies, Wi-Fi (at an additional charge), hair dryer, mini bar, safe and tea/coffee making facilities. Superior rooms come with a 26 inch flat screen TVs. The Elements brasserie style eatery serves a varied selection of top quality dishes that are bound to get your taste buds tingling. Breakfast is served from 5am to 10am everyday. There is also a bar that sells snacks if you are not in the mood for a full meal. Room service is available around the clock if you’d like either cold snacks or hot dishes send to your room. Terminal 4 & 5: Hoppa Bus H51. Easily accessible from the motorway guests can take advantage of the Park Stay & Go package allowing them to leave their car at the hotel over their holiday. All the hotel’s contemporary rooms are well equipped with facilities to ensure you enjoy your stay and are well rested before you travel. For your entertainment you’ll find a colour TV with Cable/Satellite, Pay Per View movies and video games. There is also an in room safe, air conditioning, iron/ironing board, hairdryer, mini fridge, tea/coffee making facilities and a desk. Seasons is open everyday for breakfast, brunch, lunch and dinner. Breakfast starts from 6am on weekdays and 6:30am on weekends and closes at 10:30pm each night. A minimalist lobby welcomes guests to this stylish hotel situated in luxurious surroundings mere minutes from Heathrow Airport. Great business facilities provide a stimulating work environment as well as a 9-hole golf course to unwind afterward. Visit Orwell’s Brasserie for Breakfast, Lunch and Dinner each day for a selection of classic bistro dishes, or dine at Eriki if you prefer your food with a bit of spice! For some evening relaxation, head to Dr. O’ Driscolls for a drink or two. The hotel is just two miles from Heathrow Airport with easy access to the London Underground station, central London, M4 and M25. Enjoy a famous DoubleTree cookie on arrival at this Cranford hotel. Catch up with friends or colleagues over a drink in the bar, or order a meal in the Brasserie restaurant where fresh produce is showcased in innovative dishes. Unwind in a modern, air-conditioned guest room, which features a luxury bathroom, a flat screen TV, high-speed internet access, and movies on-demand. Enjoy 24-hour room service and a spacious work desk, along with a laptop safe, complimentary mineral water and a welcome tray. All rooms are triple glazed for your comfort and are smoke free. 24/7 room service is available if you prefer breakfast in bed, or head down to the 745 Restaurant; here you’ll find a modern dining area serving some classic British dishes along with great sharing platters and enticing desserts. You can also use the open plan bar area for impromptu meetings or to simply relax in. A newly refurbished hotel with a modern interior and all the usual facilities you’ll have come to expect from a Holiday Inn hotel. Air conditioned rooms with extra pillows make for the perfect nights sleep and a complimentary breakfast in the morning will set you up for travelling the next day. All rooms have en-suite bathrooms, air conditioning, satellite TV with pay-per-view movies, tea and coffee making facilities and a desk with a lamp, phone and internet modem. You can start the day with a complimentary cooked or continental breakfast and enjoy a pub-style dinner in the hotel’s Great Room restaurant. Alternatively the stylish lobby bar serves a small variety of meals and has 3 flat screens TVs. The Heathrow Hoppa service operates between the hotel and T5 only via the H55. For the other terminals, please use the free train service. If value for money is a high priority then you can’t go wrong with a stay at the recently refurbished Premier Inn at Heathrow. Its modern yet comfortable interior has given it flagship status so you can be sure that you won’t be compromising quality. You’ll find an en-suite bathroom, flat screen TV, telephone, hairdryer, tea and coffee making facilities and air conditioning in each room at the Premier Inn. Sleep in ultimate comfort in one of their kingsize Hypnos beds, behind blackout blinds in a fully air conditioned room. Besides being near to several attractions such as Windsor Castle, Legoland & Thorpe Park, the Travelodge Heathrow Terminal 5 is ideal for those business travellers who are looking for cost effective accommodation near Heathrow Airport. Rooms at the Travelodge Heathrow Terminal 5 Hotel have been designed with a fresh and modern style. Every room includes a Dreamer Bed, a luxury king size bed that guarantees guests a good quality sleep during their stay. Yes, Continental and cooked breakfast are served from 6am-10am at the Bar Cafe, Monday-Friday and from 7am-11am Weekends and Bank Holidays. The Heathrow Hoppa service operates between the hotel and T5 only via the H57. For the other terminals, please use the free train service. The newly opened Hilton Garden Inn is a great choice for your Heathrow hotel as it is perfectly located for transport to the terminals. Only a few minutes away from the nearest London Underground station, it is then just one stop away from Terminals 2 and 3, and just two stops away from Terminals 4 and 5. Fully equipped for either business or leisure, this is a great addition to Heathrow’s range of hotels.. The rooms at the Hilton Garden Inn at London Heathrow Airport are spacious and stylish. With comfortable beds, ergonomic desks with complimentary WiFi access. There are LCD Tvs in each room, as well as a mini-fridge and coffee and tea making facilities. You will also have access to the 24/7 business centre. At the Hilton Garden Inn, you will find a great breakfast with a wide selection of choices at the Garden Grille restaurant. They also offer an all day bar menu at the Garden Lounge. Also available is the Pavilion Pantry, which offers a range of snacks and drinks.